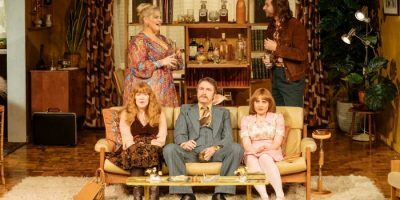 Only nine days ago the controversial decision was made by the council’s planning committee, in the face of serious opposition, to grant permission for remediation of the land for a proposed office development. But the campaigners were led to believe that the work would not begin until the end of March, at the earliest. Yesterday an early morning dog walker was the first to alert the group that fences had suddenly been erected around part of the park. 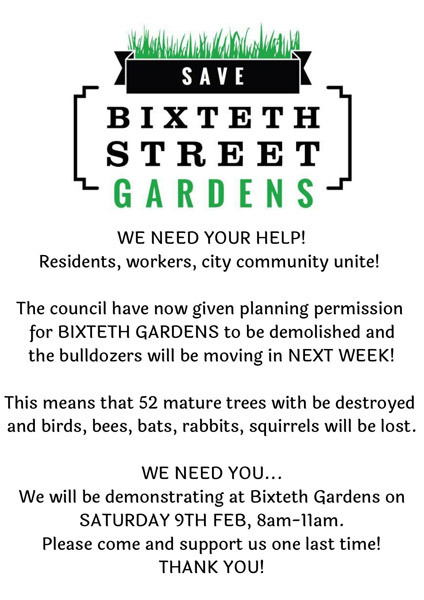 Upon further enquiry an employee of Wilmott Dixon, the contractor instructed to carry out the site remediation confirmed, that by the end of the week the whole park would be sealed off from the public, and that by February 18 all 54 mature trees will have been felled. With the loss of the trees the habitat for the abundant wildlife will be decimated. In addition to the destruction of the park, residents and employees are already having to accommodate massive disruption without adequate warning or provision by the council. Parking on a section of Pall Mall was suspended until April 29th without proper notification, causing mayhem for those driving in to work, or coming home from work elsewhere. And as fences were being erected to cordon off the park, a routine fire drill was called at Exchange Station for which the park is a muster point. No warning had been given to the management of the building. A demonstration has been planned at the gardens on Pall Mall, Saturday 9th between 8am and 11am, and all who believe in the need for inner city green space are invited to attend. I am appalled to hear about this decision and hope that notice of sincere objections by members of the public and local community affected will reverse this decision. 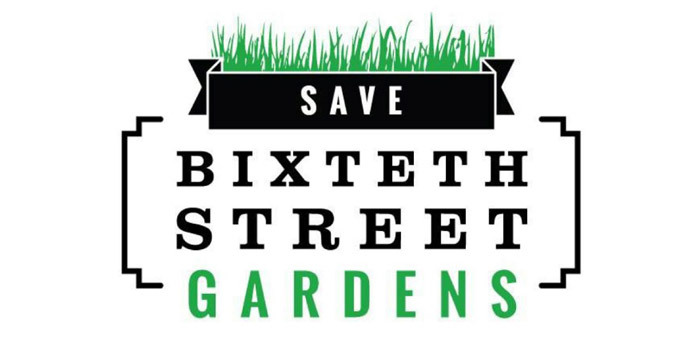 Previous Post: Bixteth Gardens Campaign Group Fight On!